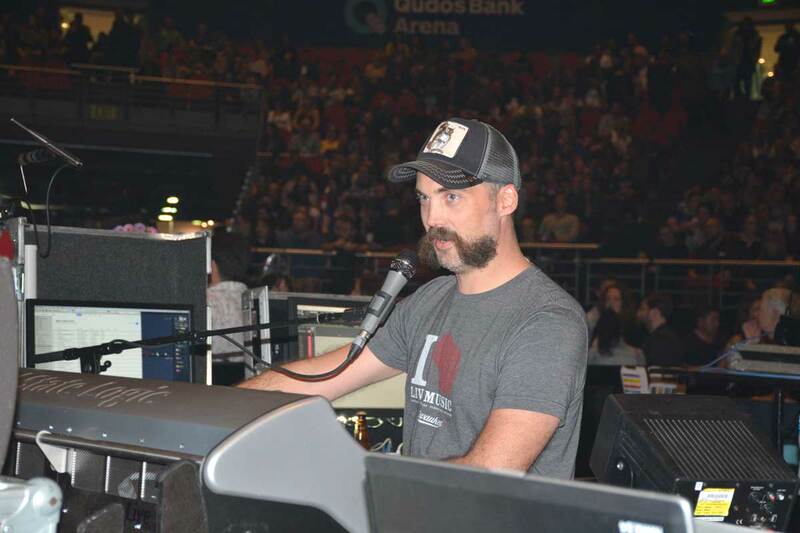 FOH Engineer Kenny Kaiser has been working with The Killers since the start of their Battle Born tour, where he started out as a system tech, then moved into the role of FOH mixer towards the end of that tour. Kenny comments that when mixing The Killers there are many, many elements to consider. 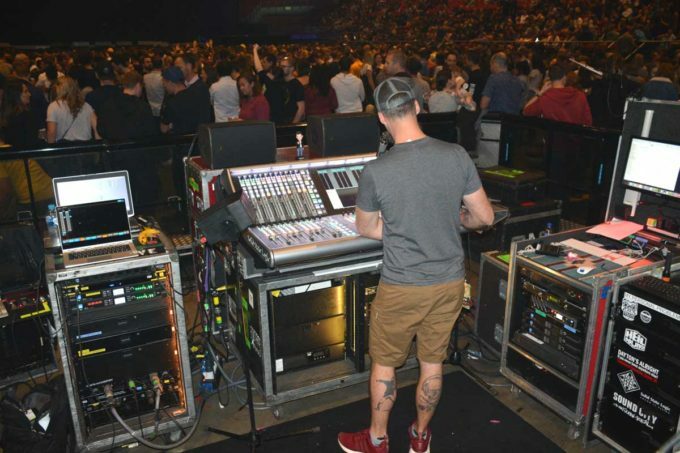 As there are so many people, instruments, and inputs on the stage he aims to keep things very simple at FOH saying that he prefers to keep as little failure points as possible! Out front Kenny was running a Solid State Logic SSL500 console which he says sounds great. Outboard effects were a couple of Bricasti M7 reverbs; one for lead singer Brandon Flowers and one for the snare. Kenny admits that’s a little over kill but it does sound good on the snare! For the Australian tour, the show featured an L-Acoustics K1/K2 PA with the mains and sides comprising of K1 with K2 underneath. The amount of K1 for each hang changes per show but it is four K2 for the under hangs. Between the main and side hang at a 45 degree angle are flown K1-SBs. “The PA has been great with even coverage and no complaints so far, from myself or the crowd,” commented Kenny. Monitor engineer Marty Beath also ran a Solid State Logic SSL500 console with everyone but Brandon utilizing Shure PSM1000 IEMs and Axient AXT400. Brandon used a total of ten M2 wedges with two d&b J8s on top of a single d&b J-Sub for side fills. For microphones, Brandon favoured a Shure Beta SM-58A, all the mics on the drums are Telefunken M80s and M81s, the cymbals are Heil PR30, guitars are Heil PR30, and all the backing vocals are on Heil PR35. JPJ crew were Tim Seconi, Paul Kennedy, Joel Pearson and Kellie McKee.